Fresh squeezed lemonade is the only way to go. For me nothing, but fresh squeezed will do. I don’t like powdered mixes. They don’t even taste like lemonade. Frozen concentrate lemonades are a bit too sweet. But homemade….yep….it’s the only way to go! 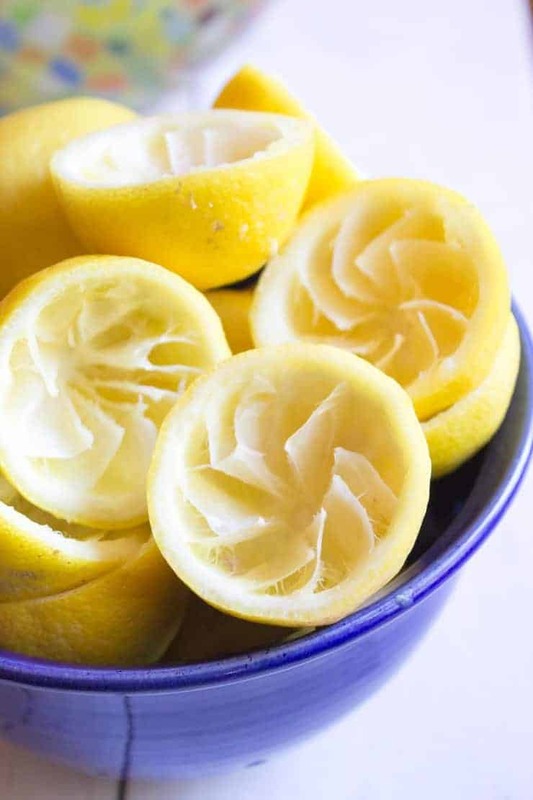 What do you need to make fresh squeezed lemonade? Three ingredients are all you need: lemons, sugar and water. That’s it! I like my lemonade a bit on the tart side. If you like yours a bit sweeter, you can add a touch more sugar. Do I need to use fresh lemon juice? Yes! Bottled lemon juice just isn’t the same as fresh squeezed lemon juice. 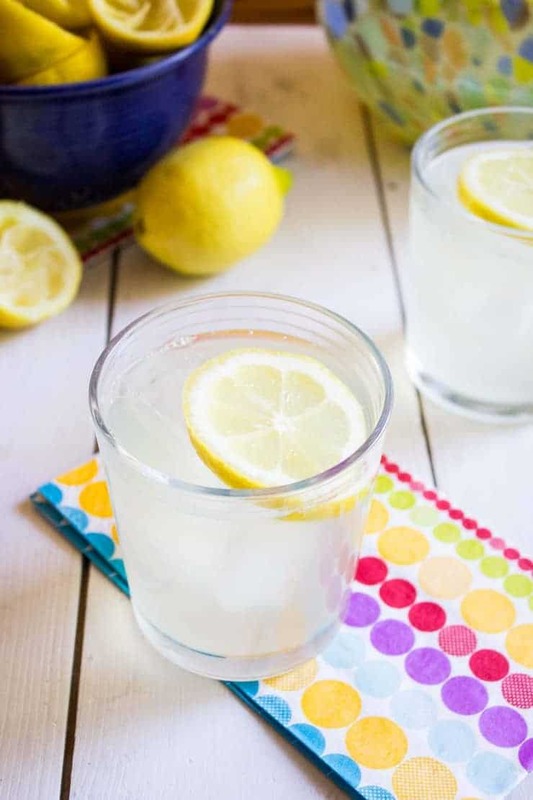 You want the very best when making this lemonade. My mom will often squeeze lemons and freeze them in one cup containers. 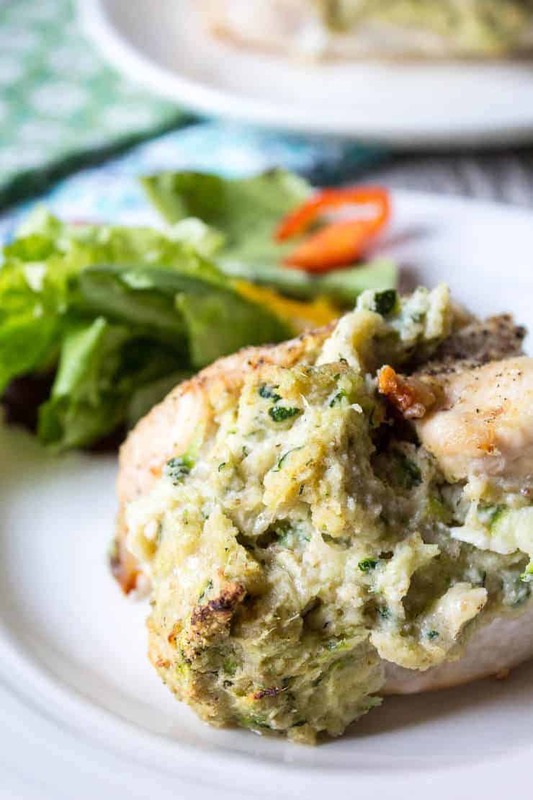 Pure frozen lemon juice can be used in this recipe. For me fresh squeezed lemonade is so perfectly refreshing. Nothing quenches my thirst quite like an ice-cold lemonade. Lemons are loaded with vitamins and drinking lemonade is supposed to help keep you calm and cool! I always feel like it hydrates me and gives me a little pick-me-up. Another lemonade recipe I make is Raspberry Lemonade. 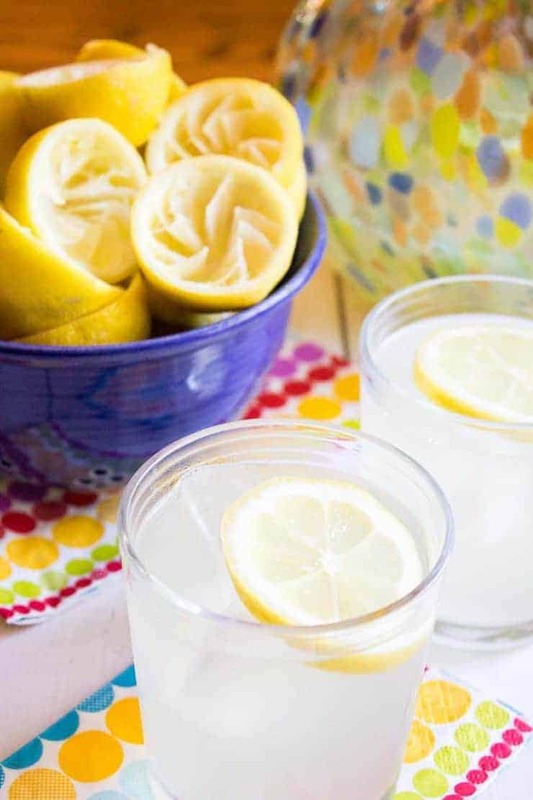 Mix lemon juice, sugar, and water together in a pitcher. If adding ice to the pitcher, reduce the amount of water added. The ice will dilute the lemonade slightly when melting. 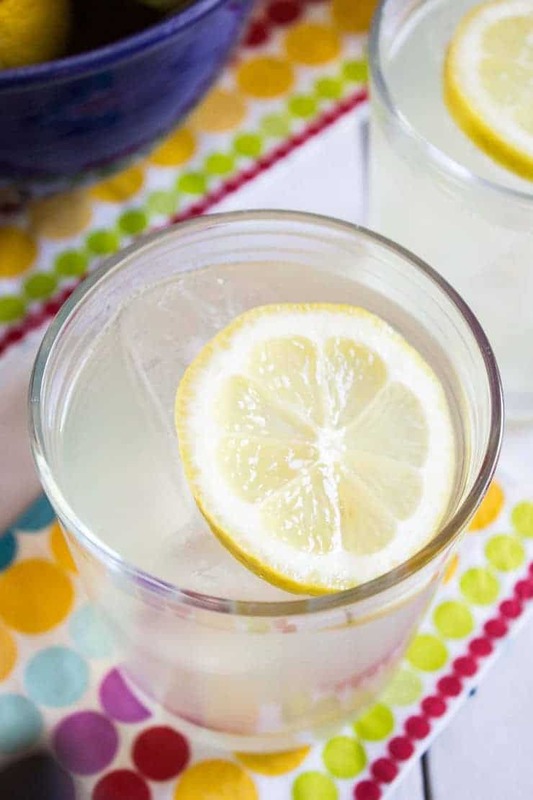 You know, I don’t have a great basic lemonade recipe (and now I do) – my fave is half lemonade, half iced tea! Hello, Summer! My dad loves that combination too! I hope you get some warm summer days soon! I agree I love homemade lemonade! It’s got me dreaming of the warmer weather because we are in the middle of winter here in Australia! Brrrr….keep warm! Maybe enjoy a glass of cold lemonade by the fire. Or my mom always likes hot lemonade. Just heat up a cup and it will warm you through! Wow this looks so yummy and indulgent! Lemonades are the best summer drinks to quench the thirst. Love that you used freshly squeezed lemon juice. They are the best on really hot summer days! 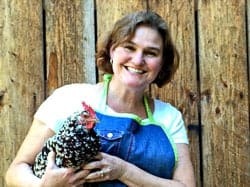 Thank you for reminding me that I need to make a big ol’ vat of lemonade for this weekend 🙂 Hope you and the family have a happy holiday weekend! When lemonade is around, people tend to drink it. 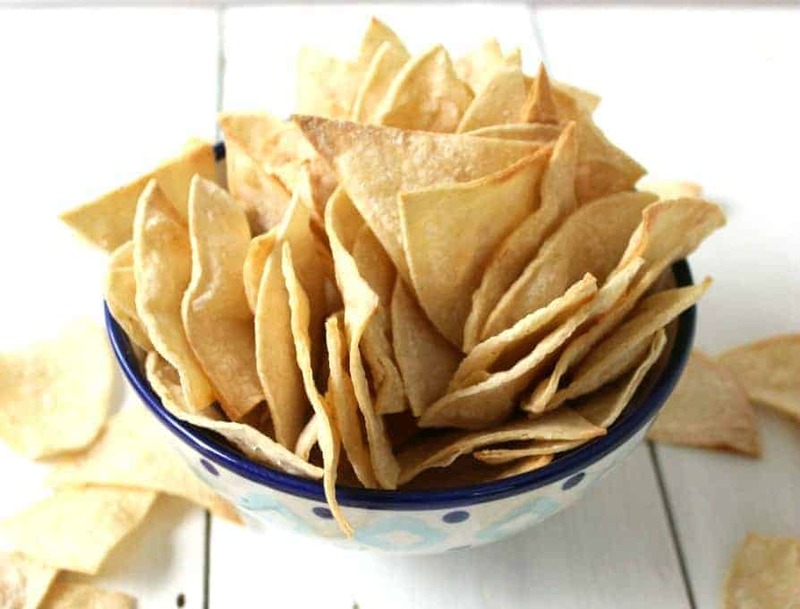 This recipe can be doubled…tripled….or as big as you need! Oh, this sounds perfect for a hot summer day, Kathy! In fact, this would be perfect to whip up for the long weekend. Thanks for the idea…and I agree with you. Those powdered versions just dont taste the same at all. Happy early 4th of July! Better make lots to last all weekend long! there cannot be more refreshing drink! isn’t it? Looks great! Love homemade lemonade! So refreshing and easy to make! It is so easy to make. 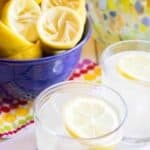 There’s really no reason to buy pre-made lemonade! I am with you, Kathy! Fresh squeezed lemonade ALL THE WAY! Nothing beats the refreshing taste! Yours looks WONDERFUL! 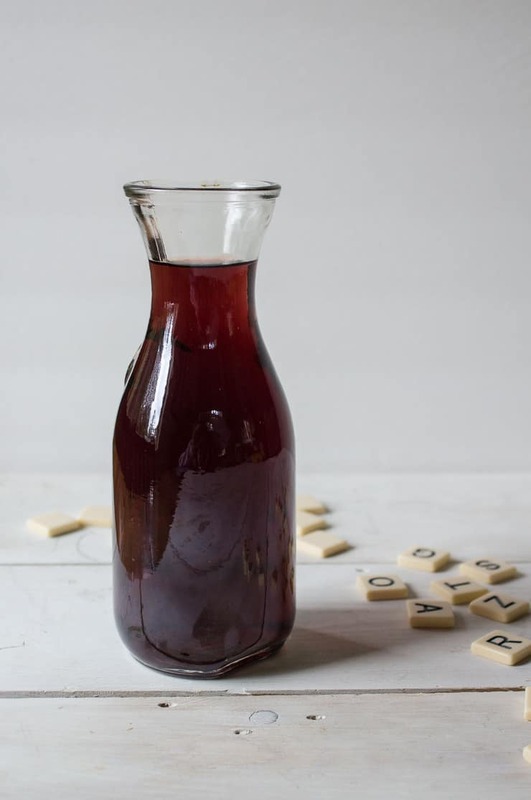 I can already envision myself sitting on the porch with a few glasses of this! Cheers, friend – to a wonderful, long weekend! The lemon juice has to be fresh squeezed too! That makes the best lemonade! Fun post, actually, for Father’s Day I was asked to bring….guess what fresh squeezed lemonade. Ok, that and homemade mac n cheese and a fruit salad and Peanut Butter Pie. Busy here! Anyhow, as odd as this sounds, I only usually use one lemon and apples in my fresh lemonade. But I like the idea of just using lemons!! I will try. So refreshing. It’s a great way to use up lemons. I always love having lemonade on hand. Perfect for the warmer weather we’ve been enjoying around here Kathy! Nothing better than fresh squeezed lemonade! Enjoy the 4th my friend! 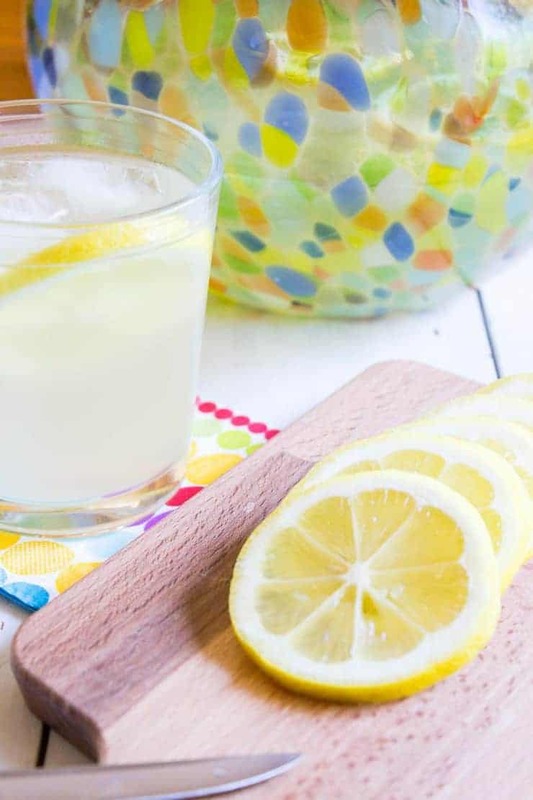 When it comes to refreshing summer drink, a glass of fresh-squeezed lemonade is a real treat. Yes, Kathy! Also for us, no powdered mixes, just fresh squeezed lemonade. Your pictures are so lovely and colorful, they convey a sense of freshness! Thanks, Nicoletta! Nothing better than fresh!